Bets that never fail – Can you really find a football betting system that works? If you are looking for the ‘one ring to rule them all’ type system, where once you have found the system you can simply sit back and retire, you are likely to be a disappointed. For starters, having all of your eggs in one basket (system) is a recipe for disaster. Trends and market forces change and you need to be able to adapt and tweak over the years ahead – also no strategy is linear, so it is always better on the wallet and heart to have multiple strategies on the go so that you can cover for the a downswing on one system before it corrects again later. That said, for all new and prospective members of Predictology we always advise to set lower expectations initially and focus on something we call micro betting systems, just until you get up and running. A training exercise of sorts. 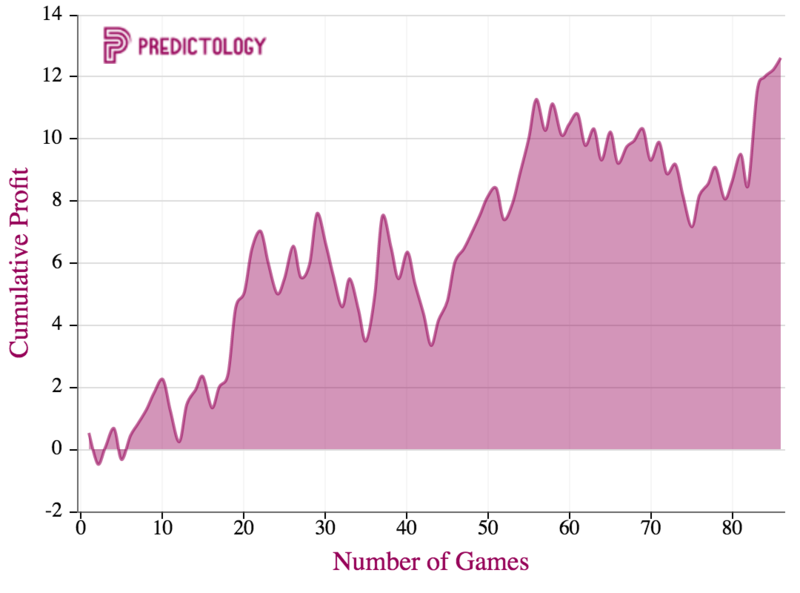 One of the many opportunities provided by the Predictology platform is the ability to develop and create successful micro betting systems (learn more about this concept here). When used correctly and in conjunction with other micro betting strategies, they can prove incredibly powerful…and profitable. A bet that (almost) never fails? One of our favourite and best examples of a successful micro betting strategy involves the Italian giants, Juventus. Incredibly it wins over 90% of the time and delivers an incredible return on investment. At the time of writing, Juventus have won the last six Italian titles, and are right in the mix with Napoli for a record breaking seventh consecutive Scudetto. So it would be safe to assume that Juve will, on average, win a very high proportion of their games. And it would normally also be safe to assume that the odds available on a Juventus win would reflect this and be very short indeed. 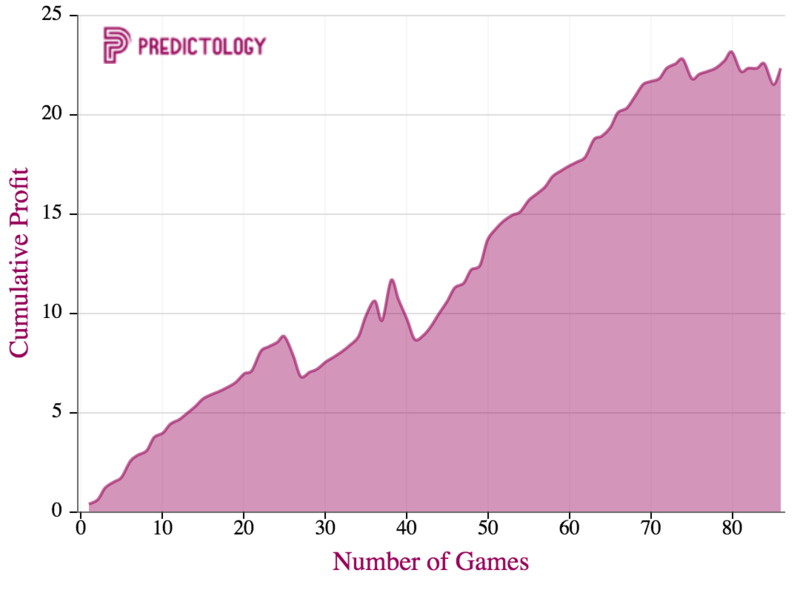 By using Predictology, we can see that the average price available for a Juventus win at home is actually 1.41 – for a team with a record like this, we would expect a price closer to 1.20. The number of ‘big’ clubs in Italy – AC Milan, Inter, Napoli, Roma, Lazio – seems to ensure that, on average, the Juventus home win price is a little higher than in other leagues. If we take Celtic for example, we can see their home win price is 1.26, it is is therefore not really profitable to bet into on the metric alone. You could almost say that you are ‘guaranteed’ to make money betting on Juventus at home! Incredibly you would also make money backing Juventus away from home. 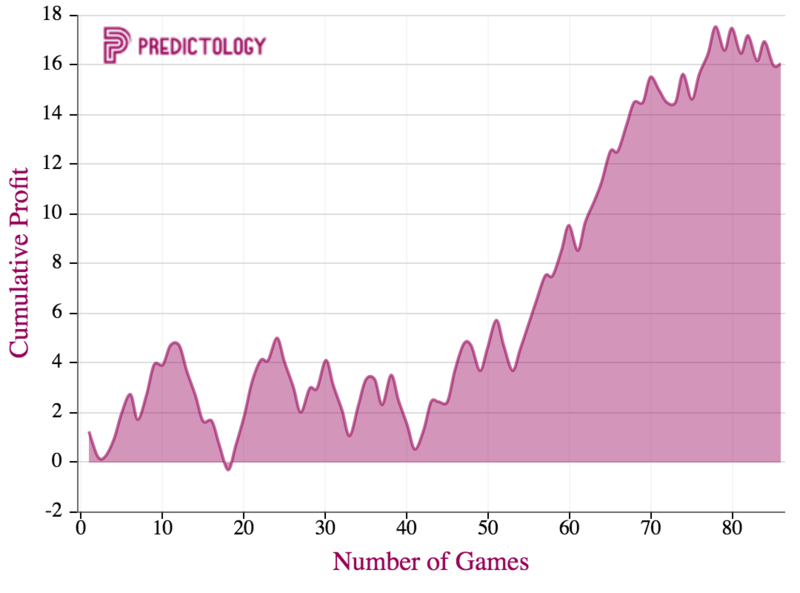 The overall numbers aren’t quite as exciting and the profit line is not quite as smooth, but used as basis to analyse game-by-game or if you were to add some additional filters on top, you could develop this into another successful micro betting strategy. Now the one I really wanted to look at was the Asian Handicap markets. Can we take our knowledge about Juventus’ home form and see if they are also beating the handicap on a regular basis and can therefore provide us with higher odds and margins? So as suspected, taking the Asian Handicap markets give us a profitable approach as well. However, despite our efforts we have been unable to top the returns delivered by simply back Juventus to win at home – lower odds but the returns are greater and the profit lines more steady. So we can confidently say that we have a successful micro betting strategy and depending on your style and betting tastes, we have three different approaches we can take to profit from it. This entry was posted in Betting systems, Betting Tips, Micro Betting Strategies and tagged bets that never fail, betting tips, betting trends, free betting system, free betting tips, juventus, juventus betting, juventus betting system, micro betting angles, micro betting strategies, predictology. Bookmark the permalink.